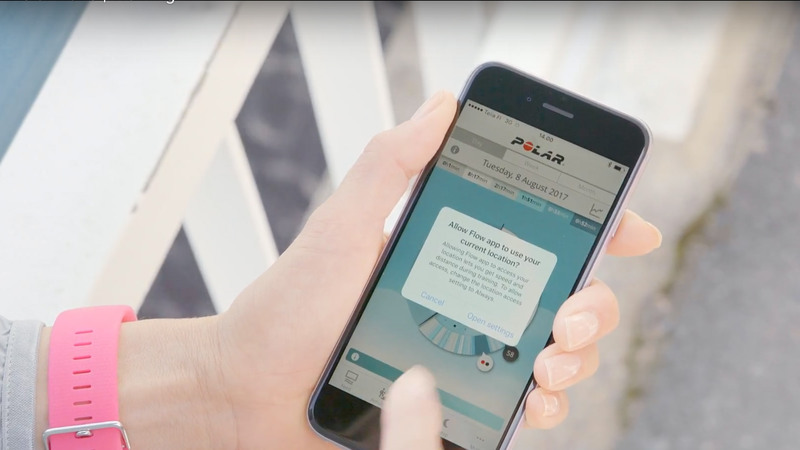 Polar A370 uses your phones GPS signal for pace and distance tracking outdoors, but what does this mean and how can you get started with it? Read on to find out. Some people prefer the complete freedom of leaving their phone behind when they head out for a walk or a run. However, there are some undeniable perks in bringing your phone with you. For many, the number one reason is being able to listen to music (hands up if you’ve run up a hill or a stairway with the theme from Rocky in your headphones), but carrying your phone also means having a means of getting help in case something unexpected happens. Not to mention making a long run go by faster with a catch-up call to your granny or long-distance bestie! If you’re using the new Polar A370 fitness tracker, here’s another perk to add to the list: your Polar A370 can use your phone’s GPS connection during your outdoor workouts. This means you can measure your pace and distance during your workout, and afterwards you can take a look at your route on the map in Polar Flow. Here’s everything you should know about training with Polar A370 and GPS. GPS is short for Global Positioning System. To put it super simple and short, it’s a network of satellites that is widely used in navigation in a myriad of different devices – most common being smartphones. In the sportswatch and fitness tracker world GPS is used to track speed, distance and route during outdoor activities. How do I start using connected GPS with my Polar A370? First of all, you need to make sure all the necessary connections are working. 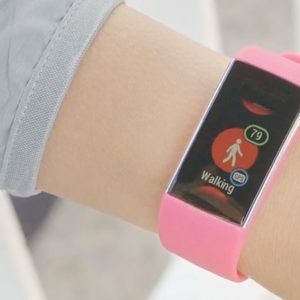 Check the Bluetooth connection between your Polar A370 and your phone and make sure you’ve enabled location tracking on your phone. You also need to give permission to the Polar Flow app to use your phone’s location – move on to step two for this. GPS doesn’t work indoors, so you need to be outside when you start your training session. Choose Training from the menu of your Polar A370 and swipe up to find the sport profile you want to use (note that connected GPS only works with outdoor sport profiles). The blue circle around the GPS icon starts to rotate and you’ll be prompted to allow the use of your phone’s location. Press the notification on the watch to open your phone’s settings. 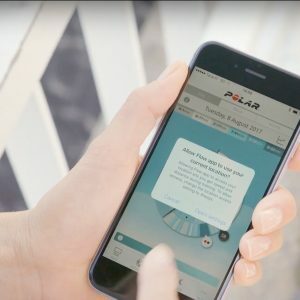 You need to give Polar Flow the permission to always use your phone’s location. Once the blue circle around the GPS icon stops rotating, you’re all set – press the screen on your Polar A370 one more time to start your workout. Do I need to have my phone with me? Yes. Your phone needs to stay within the Bluetooth range from your Polar A370 for the connection to work. No, GPS does not work indoors, but don’t worry even if you’re a treadmill lover – when you run indoors, Polar A370 calculates your pace and distance from your arm movements. 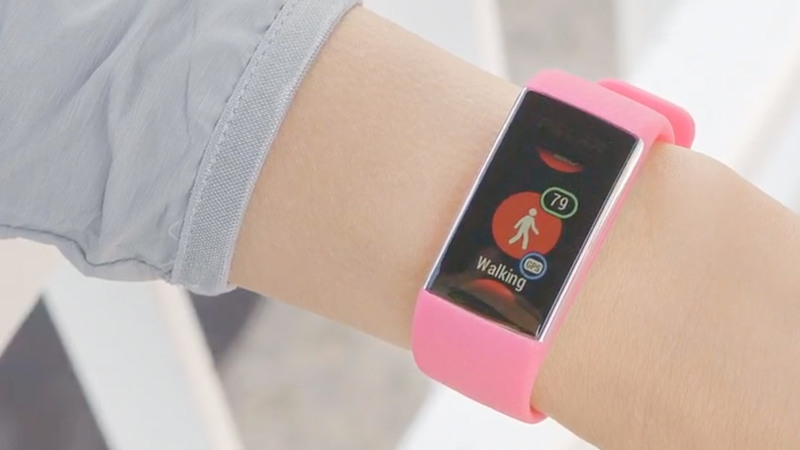 Check out this video to learn more about connected GPS and everything else you need to know about working out with your Polar A370.